Ed Gaudoin says the tool has helped staff start palliative care support earlier in the disease trajectory. A tool developed in Scotland to help identify people who may have unmet palliative care needs is proving a valuable resource in WA, where the Metropolitan Palliative Care Consultancy Service (MPaCCS) plans to roll it out across all of the Perth residential aged care facilities it supports. MPaCCS clinical nurse manager, Ed Gaudoin, said the service had adopted the Supportive and Palliative Care Indicators Tool (SPICT) two years ago, as an educational tool to help residential aged care staff identify people needing palliative care. He said the tool has helped staff think beyond cancer when identifying patients who are dying and to start advanced care planning and palliative care support earlier in the disease trajectory. “We adopted SPICT as an education tool for identifying what a palliative care patient looks like and to distinguish palliative care from terminal care [in the last few days or weeks of life]. “Palliative care is not just terminal care, and ideally we would become involved as soon as we know someone has a life-limiting condition. People might live for months or years, and palliative care can be supporting them while they are going through treatment. 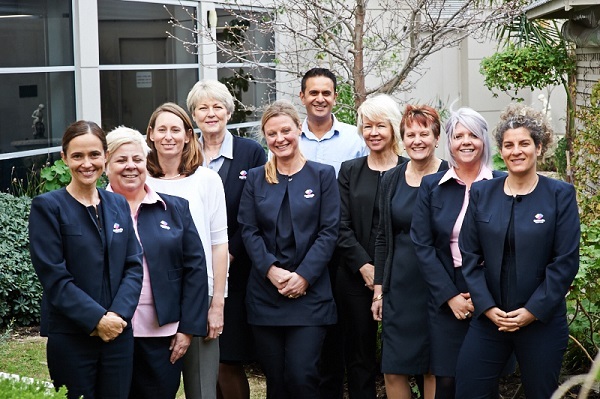 MPaCCS has a team of six nurses, two social workers and two part-time medical consultants who provide palliative care support services to 180 residential aged care facilities across Perth, as well as disability, mental health and correctional services. It is funded by the WA Department of Health and operated by Bethesda Health Care. The Metropolitan Palliative Care Consultancy Service team. Mr Gaudoin said SPICT lists clinical indicators under specific conditions, including neurological disease or liver disease, which helps to encourage staff to think beyond cancer when assessing a need for palliative care. He said over the past six years, there has been an increased understanding that dementia is a life-limiting illness. “The ability to manage the expectation of families, facilities and the general medical fraternity with earlier discussions around advanced care planning is the foundation of care,” he said. He said a palliative care register which integrates with the SPICT also helps facilities to track and plan residents’ palliative care needs. He said the register can be used to document family meetings, including extra resources families may need and whether special planning is required for bereavement. It also prompts the need for an advance care plan and tracks how many are completed. He said the register could also be used to support staff trying to help families to understand that their loved one is dying. Mr Gaudoin said that from 1 June – 31 December about 84% of MPaCCS patients died in their place of choice and that residential aged care was the preferred place of death for 97.5% of patients. “By any standard, these are impressive results,” he said. 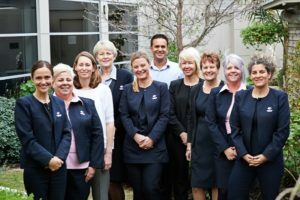 “Bethesda Health Care is proud of MPaCCS and of the tremendously productive relationships the service has with residential aged care facilities, and we are happy to share our experience with, and learn from, others across Australia and the world. Other Australian organisations using SPICT are listed here. This article was first published in Palliative Matters. It is reproduced here courtesy of Palliative Care Australia.